Hearing is precious! When you struggle to hear words spoken by friends and family it can be quite frustrating. Tension, resentment, and feelings of helplessness are often experienced with untreated hearing loss. Over time it can chip away at your physical and emotional health, and rob you of your independence. It can also impact your employment, cultural participation, social activities, and financial stability. Untreated hearing loss packs quite the punch, but you don’t need to suffer in silence. Taking steps towards treating your hearing difficulties is a personal journey. There is no one size fits all for treatment — it needs individual care and attention. That’s why the most important step is seeking the right hearing professional. 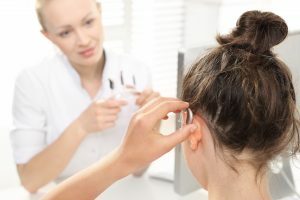 You have many options available to you for finding your hearing solution, but with so many choices it can be hard to decide what’s best for you. One of the paths you should consider is seeking the services of a regulated Audiologist. Audiologists have Master’s and/or Doctorate level professional degrees. Their scope of practice is large and comprehensive with an array of services available. They provide patients with diagnostic hearing assessments, tinnitus assessments, and other comprehensive tests. They can also provide evaluations and hearing loss treatments to both children and adults. Furthermore, when you choose an Audiologist, your best interest is a priority. That’s because a government college regulates Audiologists. An Audiologist’s practice must adhere to strict standards for providing high-quality care. This ensures Audiologists apply current relevant knowledge and deliver competent ethical services. Additionally, Audiologists can prescribe hearing aids if there is a need for them. This convenient benefit can save you time and energy when you’re ready to purchase hearing aids. In Ontario, only Audiologists and Physicians can prescribe hearing aids. Other types of practitioners have training related to hearing instruments but cannot prescribe them. Questions or concerns about your hearing loss? Seeking treatment for hearing loss is important. With treatment, you can begin to regain independence and improve your quality of life. But finding the right provider is essential to your success. You’ll want to find a provider you’re comfortable with and can trust. Note: This post was originally published here. Doctor of Audiology, Registered CASLPO Audiologist. Hish is Auburn & Mountain Hearing Centre’s Doctor of Audiology, regulated Audiologist. 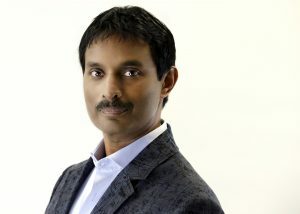 He is currently the President of the OAPAC (Ontario Association Professional Audiology Clinics) and is the only Nationally certified Audiologist in the Kitchener-Waterloo area, and the only Nationally certified Audiologist in private practice in Hamilton. Hish is a fellow of the ADA (Academy of Doctors of Audiology) and the AAA ( American Academy of Audiology). He is also a member of SAC (Speech Language & Audiology Canada), an organization that nationally certifies Audiologists, and he is a member of CAA (Canadian Academy of Audiology). Hish has Certificates of Completion in the following areas: Vestibular/VNG assessment, Tinnitus Management and Support, Lyric Authorized Training, and Certificate of recognition from the School of Rehabilitation Sciences for his work with clinical education. He has earned a Masters Degree in Communicative Sciences and Disorders (specializing in Audiology) from the University of Western Ontario (UWO), in London, Ontario, Canada. He earned his Au.D. (Doctor of Audiology) from Nova Southeastern University in Florida, USA. He has also worked for Hearing Instrument Manufacturers Siemens and Unitron. Past experiences include both Hospital and Private Practice. He supervises and mentors professionals and students in the field of Audiology and hearing aid amplification. To learn more about audiologist Hish Husein, visit the website for Auburn & Mountain Hearing Centres.